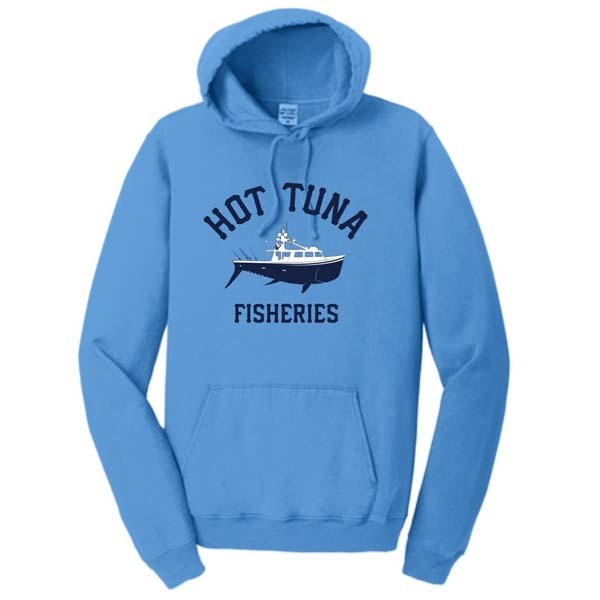 Hot Tuna Fisheries pigment-dyed pullover hooded sweatshirt. 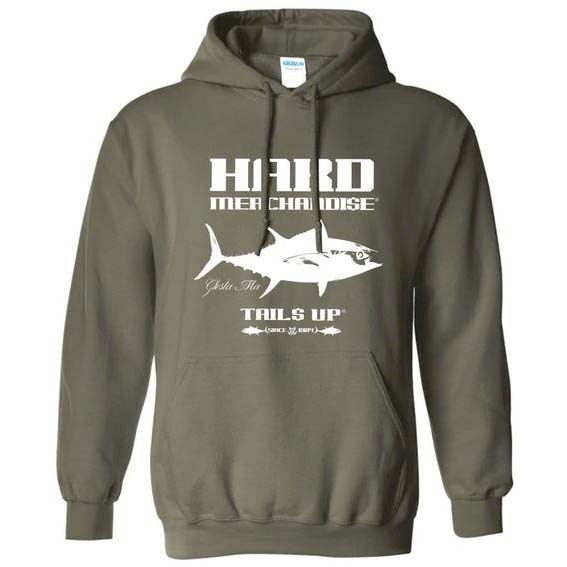 8.5-ounce, 80/20 ring spun cotton/poly fleece 100% cotton face. With full front graphics.